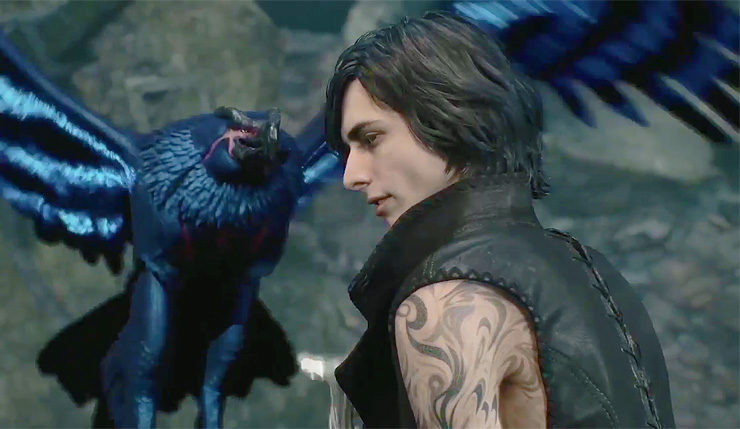 V may appear weak next to Nero and Dante, but he has the ability to unleash a unique fighting style that sees him summon three different demons to assist in battle. Utilizing a combination of all three demons’ powers, players can take their enemies down to the brink of death, allowing V to swing into battle and finish them off with a devastating cane attack. Nightmare: The most powerful of V’s demons. Nightmare’s gigantic size sees him destroy enemies with just his basic attack, and he can also fire beams of light to destroy any approaching foes. What do you think? Excited to play as V and find out how he ties into the story? Or does he seem like an unnecessary addition? Personally, I’m a bit on the fence, but I’ll give the guy a chance. Devil May Cry 5 hacks and slashes its way onto PC, Xbox One, and PS4 on March 8, 2019.